It was shocking to see the photo above in the news report in the Vatican organ L'Osservatore Romano (October 4, 2018, p. 8) showing the Mass inaugurating the Youth Synod in Rome. The ceremony is staged as if the strange staff in the foreground were the lenses through which we should interpret it. The photographer captured the power of that symbol quite well. 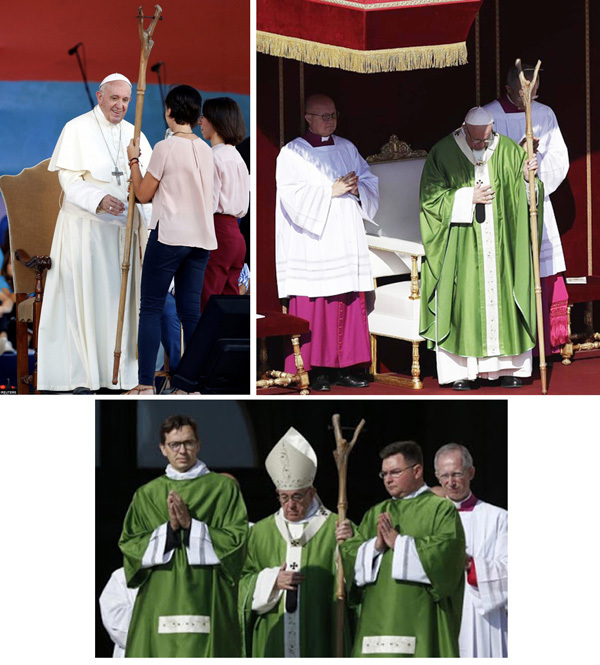 That forked staff was given to Francis on August 11, 2018, during a meeting with youth he held at the Circus Maximus, below, first row at left. He chose to use it at the opening Mass of the Youth Synod, first row right, second row. At first glance, we could think that this is just another progressivist extravaganza. However, when we examine the forked staff carefully, we see that it is very similar to the staff used in witchcraft, which is called a stang. 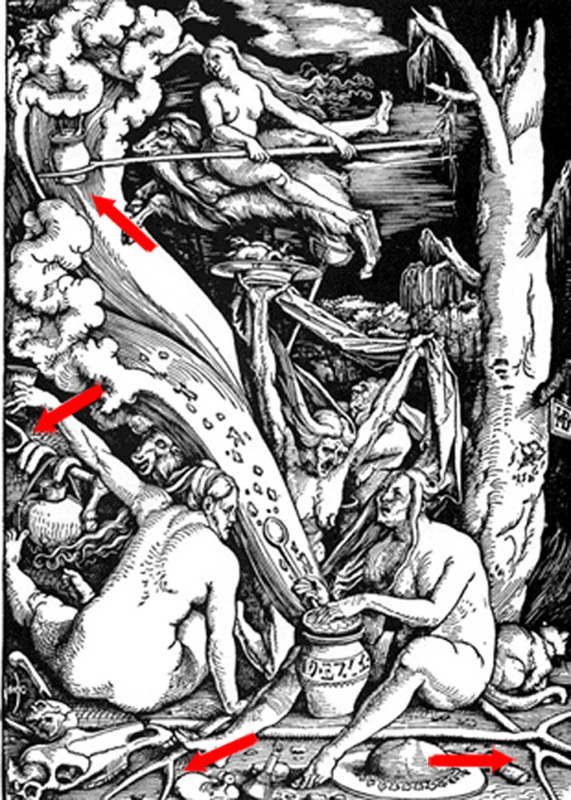 Below, we posted photos of several stangs used in witchcraft so that the reader can evaluate how similar they are to Francis' staff. So, we have the progressivist Pope making another of his insinuations. This time, however, it contains an implicit approval of witchcraft, that is, the cult to the Devil. 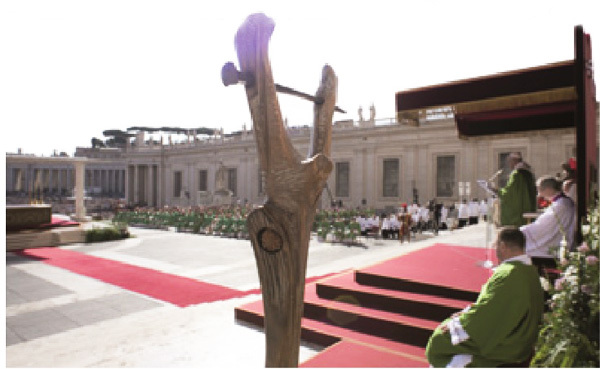 We know that it is not completely verified that Francis is aware of all the implications of the use if this symbol. But then, with this Pope what is entirely clear? Occult Message in the Vatican Light-show?